Did you know that Andy Murray learned mindful mental techniques from Ivan Lendl? Read my Huffington Post article on why Murray should reconnect with what Lendl taught him in order to overcome his mental lapses and win Slams again. 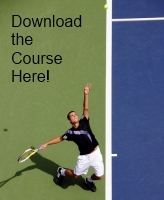 Also, get my free report The Mindful Guide to Tennis Confidence by signing up for my Mindful Tennis Tips Newsletter via the sign up box on the right of your screen. If you have any questions about Mindfulness-Based Tennis Psychology (MBTP), feel free to email me here.